Acclaimed Canadian photographer Edward Burtynsky brings environmental issues to our attention with Witness: Edward Burtynsky, a collection of awe-inspiring and often abstract images that document industrial sites. The St. Catharines-born artist has travelled the world over several decades to capture the unexpected beauty of these locations – where nature meets industry. From aerial views of oil fields in Nigeria, to salt pans in India, to Italian Carrara marble quarries and nickel tailings in Sudbury, Burtynsky’s stunning large-format photographs made over the past three decades clearly show the reality of current environmental issues. Witness presents us with a unique and honest view of these issues not just portraying industry as the villain, but as an important part of society and culture. Burtynsky has become internationally renowned for his photography and films. Before his career as a photographer, he worked as a miner and on the assembly lines at Ford and General Motors, which influenced how and what he has chosen to photograph. Edward Burtynsky (Canadian b. 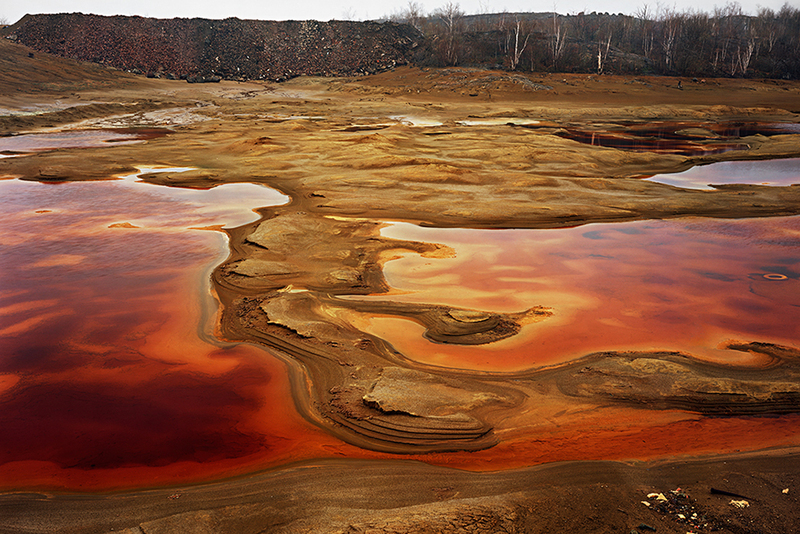 1955), Nickel Tailings #36, Sudbury, Ontario, Canada, 1996 (printed 2010), chromogenic colour print, ed. 10/10. Art Gallery of Hamilton, Gift of the artist, 2015. © Edward Burtynsky. In his series Mines and Tailings, Burtynsky expands on his early landscape works to present the earth’s minerals and elements, by shining a light on the consequences of industries like metal mining and smelting. Inside the Kate and Robert Steiner Gallery, the bright reds and oranges in Nickel Tailings #36 (1996) [pictured above] appear to be lava, while in fact they are caused by the oxidation of the iron that is left behind in the process of separating nickel and other metals from ore. Sudbury Basin is still the world’s largest resource for copper and iron ore mines. Water has been a major focus of Burtynsky’s practice in the last decade, including landscapes where water is “scarce or forever compromised” such as the Salton Sea and the Colorado River Delta, which, at the time he took the image, had “not seen a drop of water from that river in over forty years, and is now a desert.” – Edward Burtynsky, artist’s statement, edwardburtynsky.com. 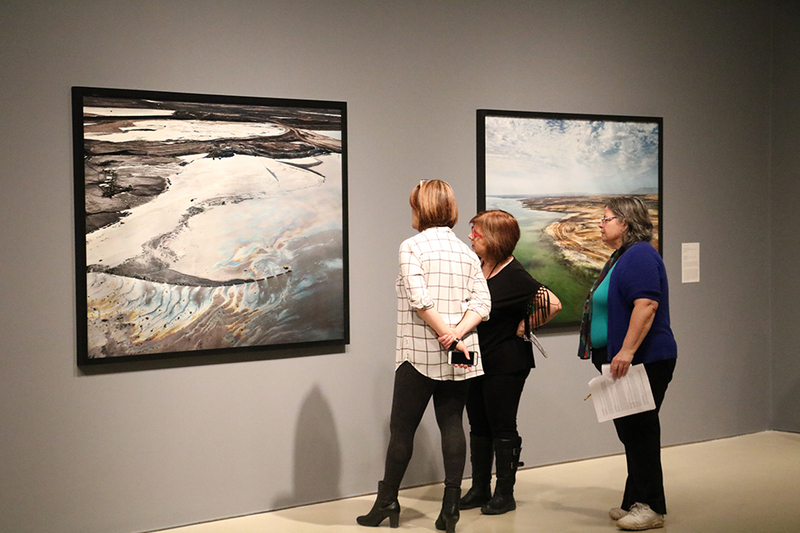 Located in the Southam Gallery, left to right, are Alberta Oil Sands #14 (2007, printed 2013) and Salton Sea #1 (2009, printed 2013) [pictured above]. These beautifully captured photographs are examples of the negative effects different industries have on water. 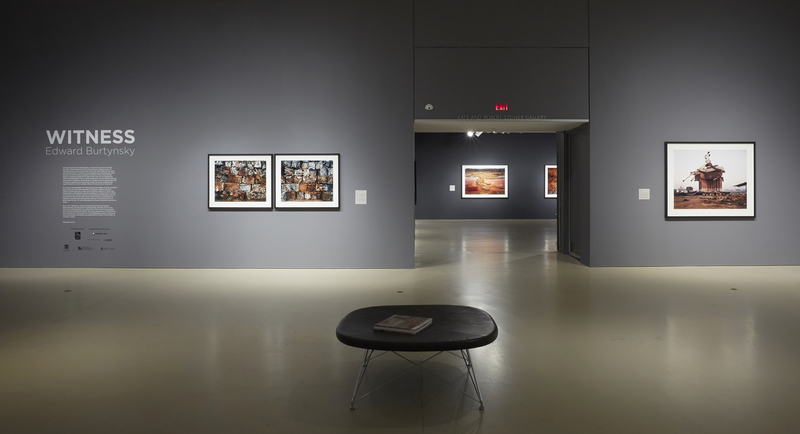 Displayed throughout two gallery spaces, Witness: Edward Burtynsky celebrates a recent gift of 76 photographs donated by the artist to the AGH; the largest donation he has made to a museum. 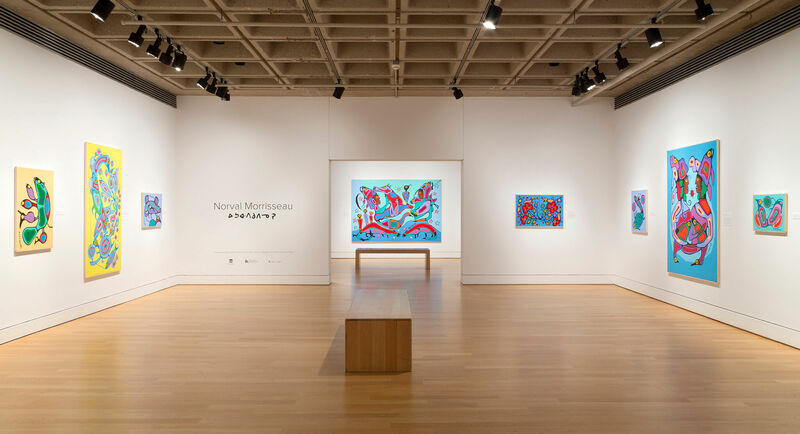 You don’t want to miss the chance to view these stunning and eye-opening works of art in this incredible space. 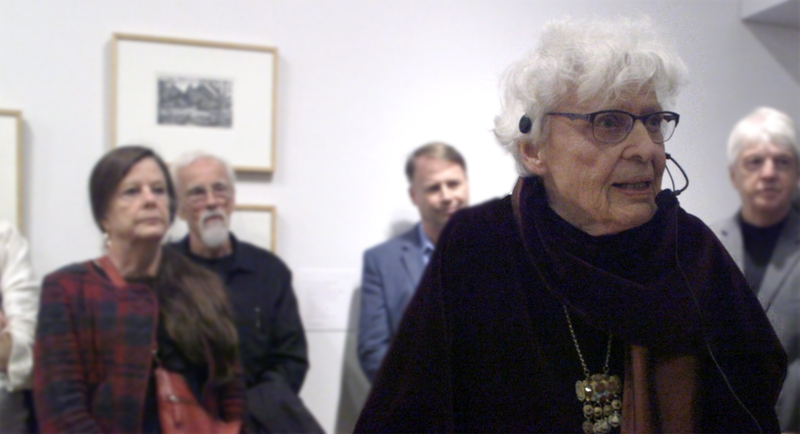 Exhibition closes May 21, 2018.